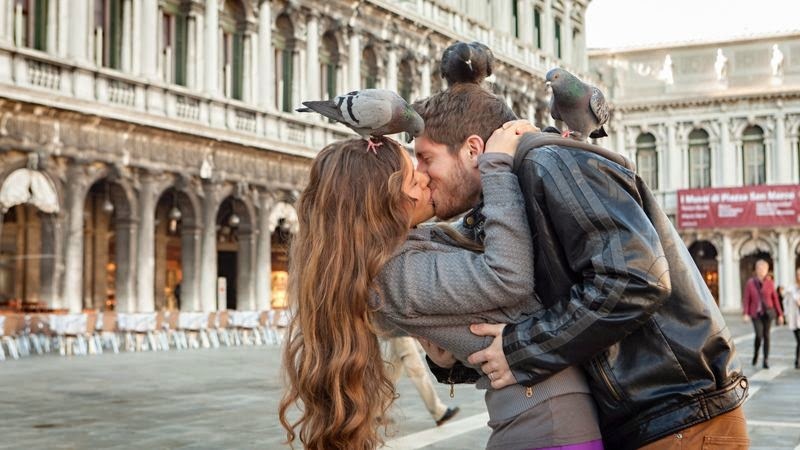 The pigeons on Jessa and Ben when they are kissing is my favorite of all these pictures! I LOVE 4,8, and 11!! They are absolutely too cute!!! I hope we will get to see their honeymoon too! Can you post a link for the full episode, if you can? I really hope they don't paint over the pretty murals on the walls. I love it when Cindy and Michelle get together. Where in Europe did they go? 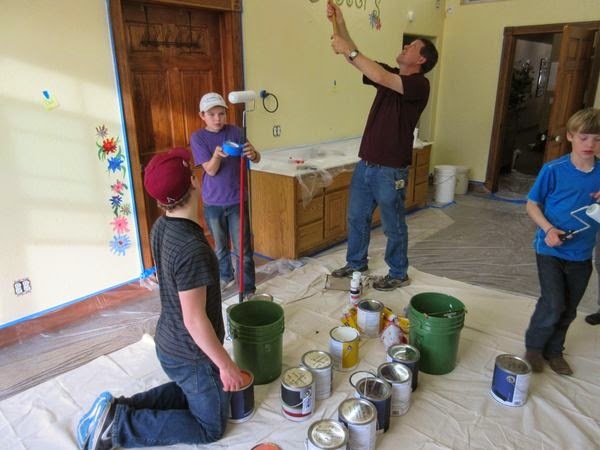 Great to see the family working together redecorate the girl's room and finish up Jessa's and Ben's house. Teamwork, that's what it is all about!!! Actually Kim, while watching 19 Kids, Ben & Jessa's house was completed renovated & included.., updated kitchen cabinets & appliances. Removing the carpeting, exposing & refinishing the wood floors throughout the house & renovating/updating the bathroom. The house looks amazing. Do you know when the last episode of the season will be? How far behind are we on. Tlc in the UK ? LOL! The last one is so cute. I want to reassure Jessa "Don't worry, you'll adjust to it being just two people at the table." Lovely family and such a wonderful example and encouragement to young parents. Love the show! Time to add Baby Israel David to the family pics at the top of the blog! Loved all of the pictures can't wait to see more and watch the show tomorrow night!!! What about the crisis with Josie? The announcement is josh and anna are expecting. Are you going to update the photo page to include Israel? Love this family how they have each others back. Showing your family love by helping each other when needed, that is the way a family should act, always supporting each other. Thanks for sharing these beautiful photos of your family. 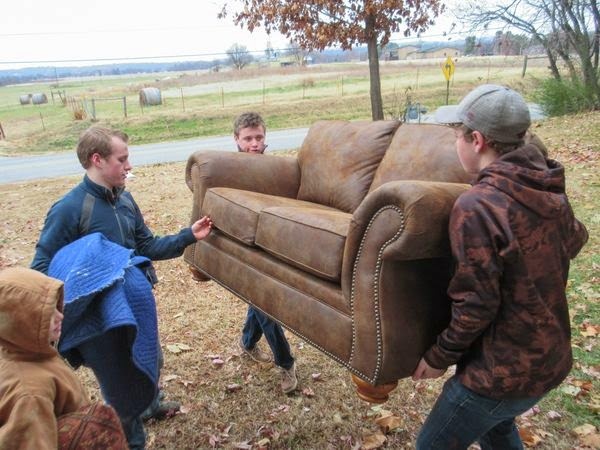 It looks like every one of the remaining Duggar children have pitched in with the work! 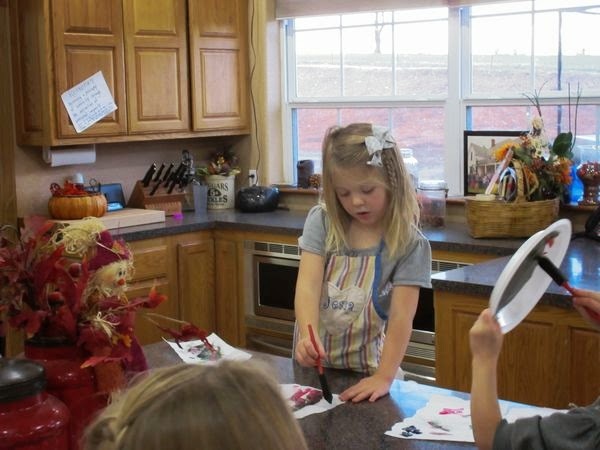 Love the picture of Jordyn-Grace painting a picture for Jessa and Ben. She sure is a beautiful child. Cute pictures. In the last one is that wine or sparkling cider??? Did they just repaint the girls' room or also re-arranged the sleeping places? Now with two older girls moved out, this room will have only 3 older girls and 4 little ones. 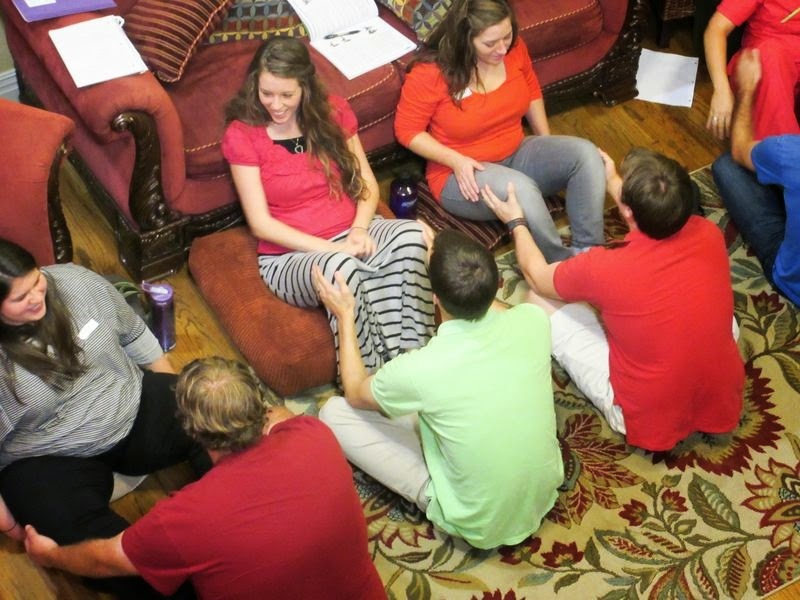 I wonder how they all live in the same room - 25 year old Jana, 21 year old Jinger - and then 4 girls under the age of 9. Would not older girls want more privacy? You forgot Joy who is 17. I love them all. But the one with pigeons is the cutest. I ❤️ 19 kids counting. I second that. Not that I think it is..
Do they drink alcohol? I see a bottle on the table. Please add Israel to the top photos of the family! when does this episode air? I think it is red wine vinegar. 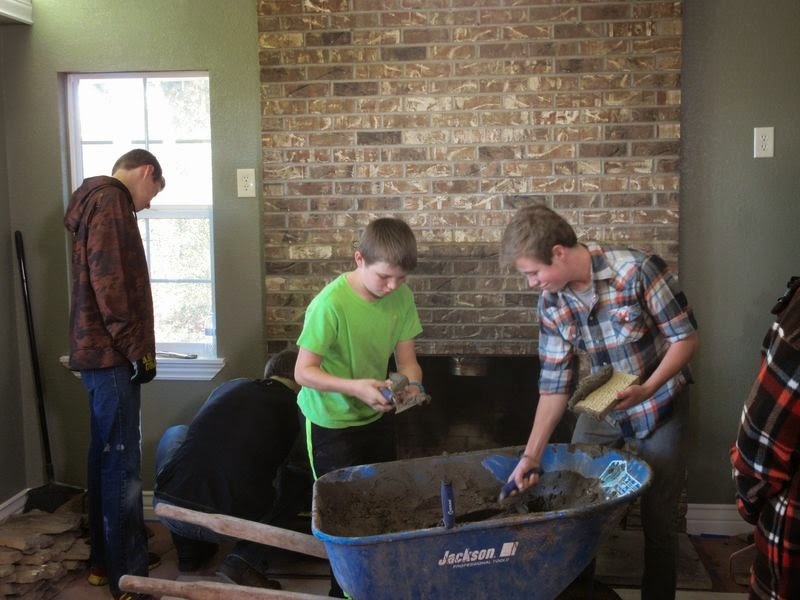 Boys you did a wonderful job of redoing Jessa and Ben's house! 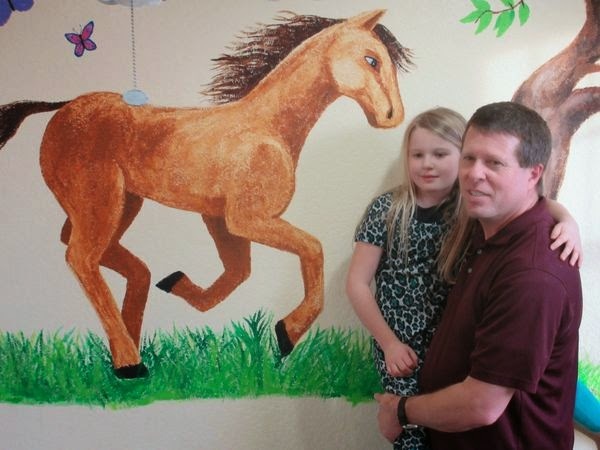 The Duggar kids bedrooms is really more setup as a Dorm vs an orphanage. I thought I saw Jessa wearing pants walking in Paris in one of the commercials, but wre my eyes deceiving me? I saw the same thing in the episode!!! Hi Lily and Ellie, I love your blogs and look at them frequently, and was wondering if maybe we could get an update on some of the middle kids (Jedidiah to maybe Jackson) there has been so much news with the older kids lately that we haven't heard much about the middle boys! I would love to hear what their interests are these days! Thank you for the wonderful blog! I have enjoyed all the relationship storylines but feel like they should change the name of the show to "19 Kids And Courting." In the beginning when they had build the house, the kids agreed that they wanted to share the rooms, as for the girls wanted to share the room with their sisters and the boys wanted to share the room with their brothers. Everyone could have had their own room but the kids decided to share. The girls should be split by age. Can they repurpose a room downstairs? 4 up and 4 down. Or put up a room divider. 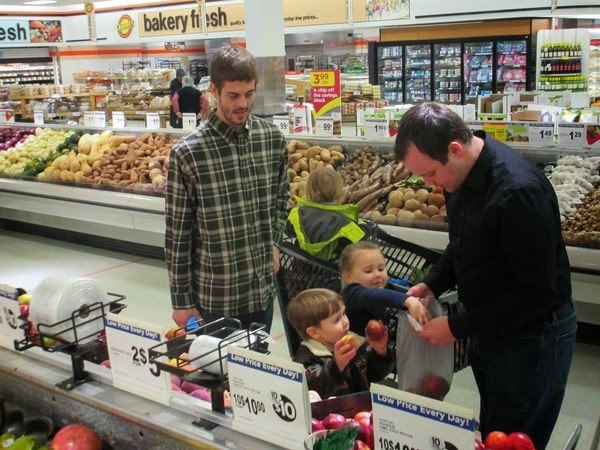 At least the boys can get away from the little ones at work. I hope all the girls get their own bed finally. KMS, I agree with your suggestion to provide the older Duggar daughters with their own room. To me it's just common sense. Same applies to the older Duggar boys. I hope Michelle & Jim Bob will take this suggestion under advisement & go forward with a plan regarding the bedrooms for the older Duggar kids. I was wondering about Josie, too. They haven't mentioned her seizure, tho it was in the previews. There was bound to be some fallout from her traumatic birth. We already know that Josh and Anna are pregnant. I say they Michelle is pregnant again. Their secret is pretty simple, I'm afraid: TLC is footing the bill. I hope you are able to save enough to go to Europe, soon! It's going to be that much more special after you've waited for that long! It's some kind of sparkling juice type of drink, no alcohol. If the good Lord blessed Michelle & Jim Bob with another child & it was a boy they could name the child Jacob. I was surprised that one of the Duggar boys wasn't named Jacob. I love the name Jacob. What happened with Josie on the first look. Anonymos 18 questioned it to? The reason why the Duggars have been able to travel all over the world, the girls get married and their honeymoon is because of TLC. In real life the normal family can not do all the things this family has been blessed with doing. It's no longer their reality, it's TLC's reality. Very sad! Couldn't make it out in the pic. Time to split the girls room into two rooms, one for the little girls and one for the adult young women. Hey @kms. There is a little girls room and a big girls room!!! Watch the show. It's Jana jinger joy anna and possibly johannah. 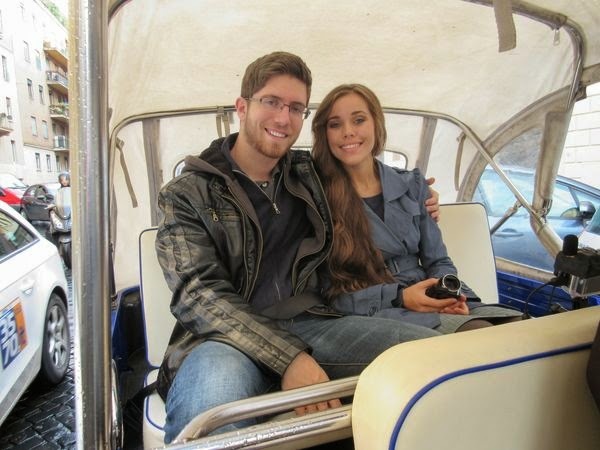 But also remember they're big rooms and jill and jessa are already married and moved out. Btw anna announced to the public she was pregnant back in November. The show is five or six months behind. I know that Derick lived in Nepal (sp) for awhile. In light of recent events with the earthquake, I wanted to express my sympathies to all families and friends he may have known who may have been in harms way either by losing life or devastation of homes. My prayers go up for everyone. Is there any special people Derick, you may have spoken with that donations can be made to that we can be sure of that 100% of proceeds go directly to the effected families/communities? "I was Cooking the Owner's Manual"
Recap: "Duggars Say I Do"
"Not Everything Went as Expected"